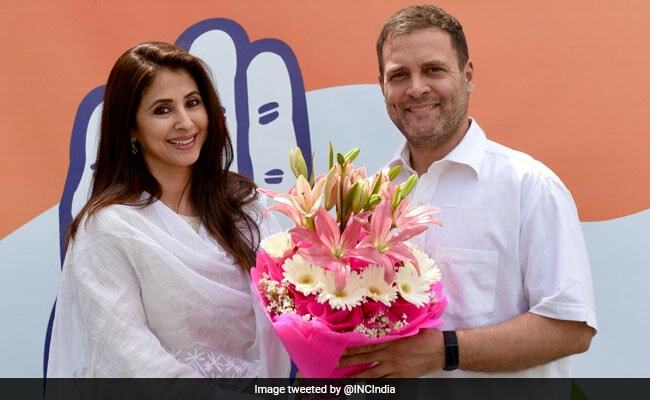 Urmila Matondkar will be contesting the Lok Sabha election from Mumbai North constituency. "I am not approaching this whole thing as a star with my star image. I am trying to get to the grassroot and connect to people. I know it is going to be difficult. "I want to generate confidence in them about me as their representative more than just another star coming in, waving and asking for votes. Because that is not the thought with which I have gotten into it," Ms Matondkar told news agency PTI in an interview. She will be contesting the election from Mumbai North constituency, a seat held by Govinda. Ms Matondkar, who has been campaigning and meeting the locals, says some of the major issues of the area are housing, water scarcity, sanitation. She is fighting against BJP's Gopal Shetty, a seasoned politician who has called Ms Matondkar naive and zero in politics. But the actor isn't affected. "That shows his mentality in the whole thing. He started of saying that this is going to be a battle of vichardhara (ideology) but non-stop he is speaking derogatory things about me, which I have never done. According to Ms Matondkar, the 2019 Lok Sabha Polls is going to be a "very deciding election for the country". Talking about Rahul Gandhi as a Prime Ministerial candidate, Ms Matondkar believes he will be a "phenomenal" Prime Minister. She further says Mr Gandhi has utilised the time to build the party and take the nation somewhere up without being in power. "If he comes in power, he will be capable of delivering it well," she adds. There have been celebrities who are dabbling into both, politics and acting, but Ms Matondkar intends to focus only on her political career at the moment. Ask her about the issues faced by the industry and Ms Matondkar says, their issues are "same as that of normal people."